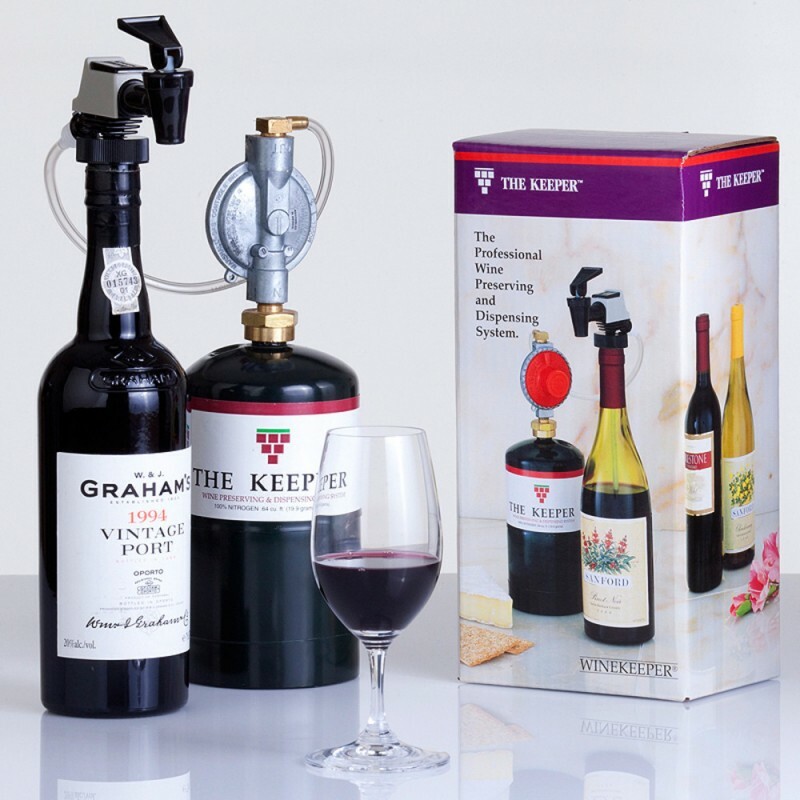 WineKeeper Basic Keeper Ex Nitrogen (P/N 15101). 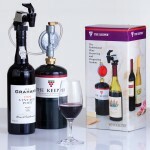 An affordable and easily portable dispensing system, The Keeper uses a pressurized blanket of inert nitrogen to protect wine in standard 750ml bottles from oxidation and spoiling. 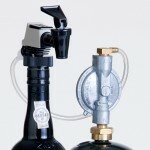 Add more bottles under its protection by expanding The Keeper with additional stopper faucets. Whether in a commercial kitchen or protecting wine in the home, the system can adapt to your needs. It is a split 750 liter that can go up to Magnum, depending on the size of the bottle neck. PLEASE NOTE: This kit EXCLUDES the Nitrogen canister and does not require HAZMAT shipping.